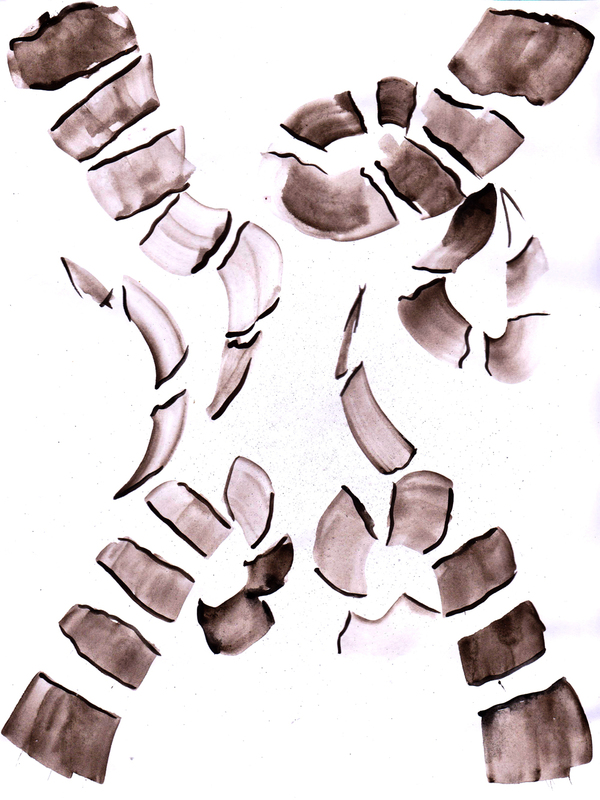 63rd-77th STEPS is pleased to present T E M P O, an online show by Josip Novosel. 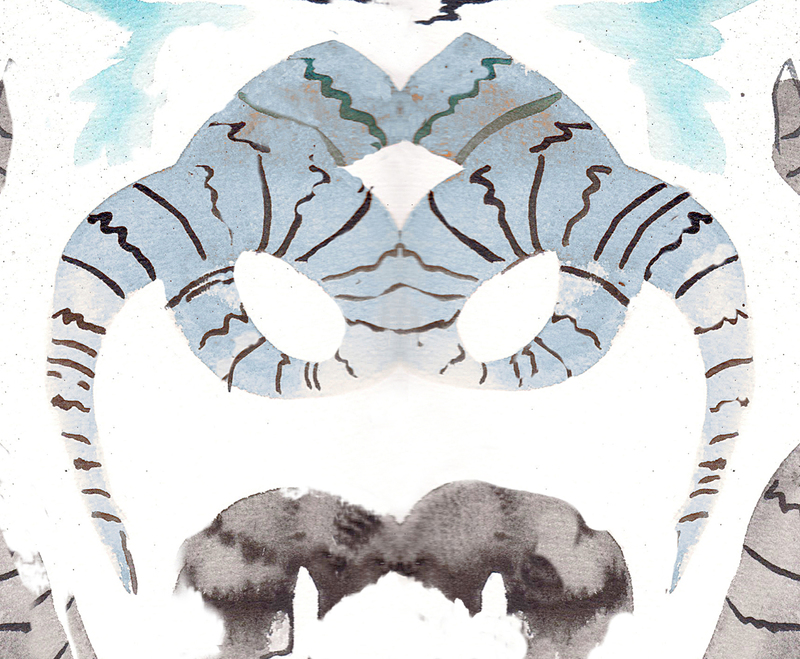 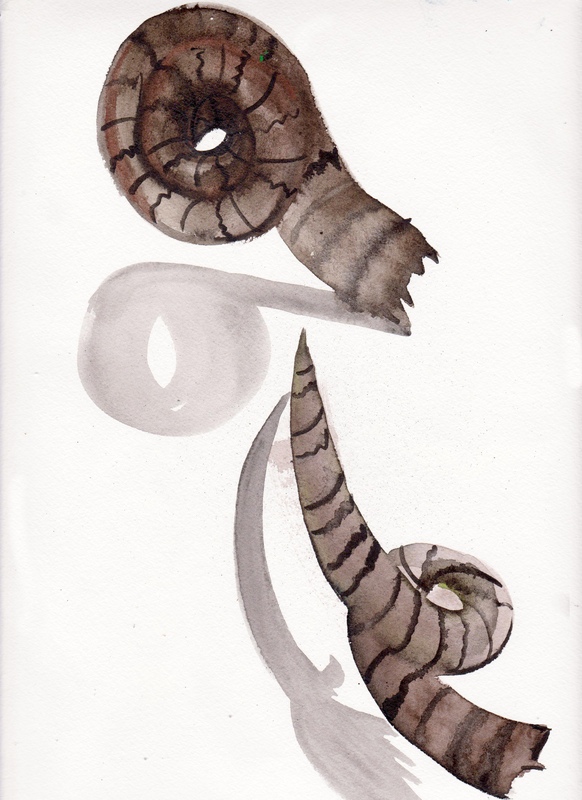 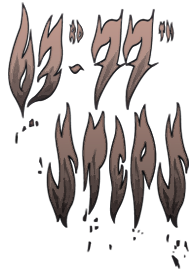 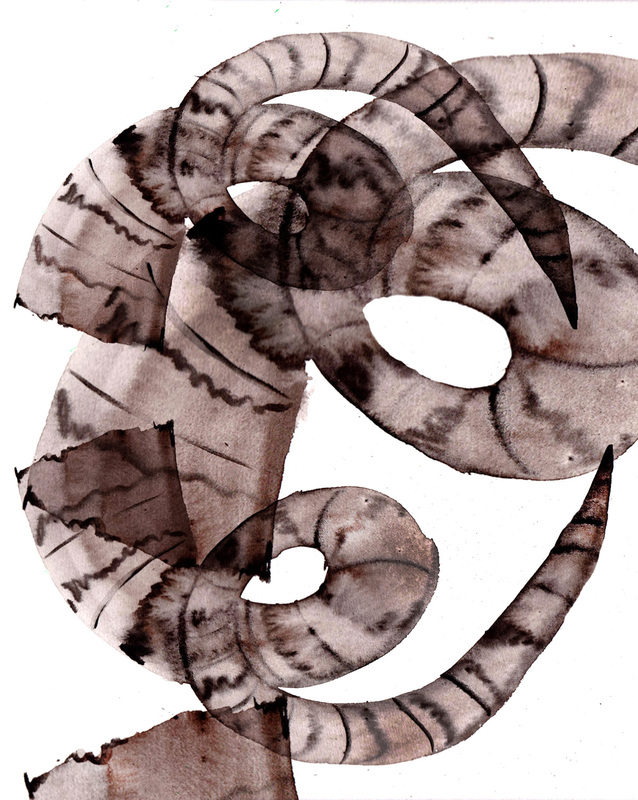 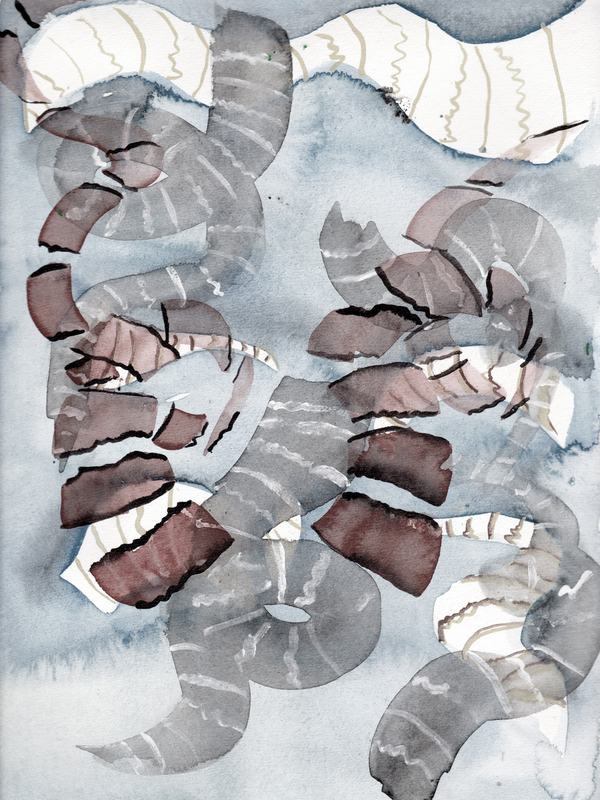 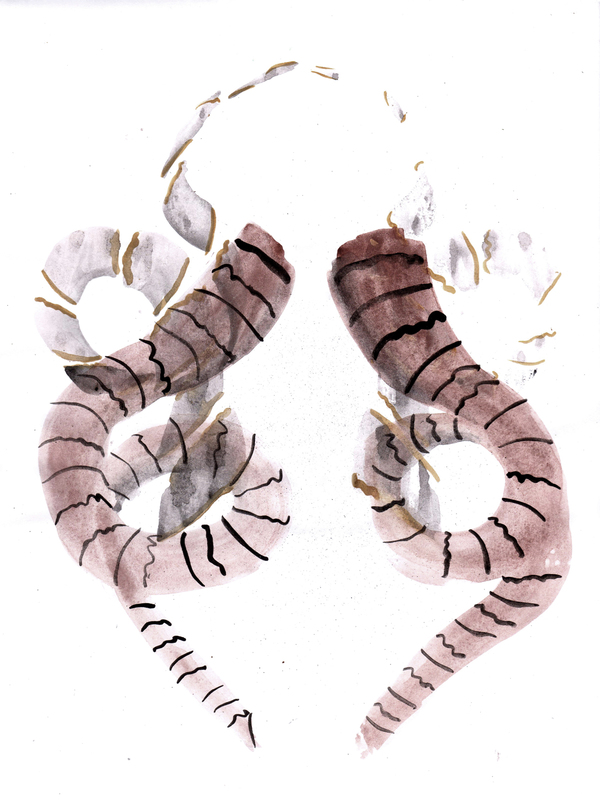 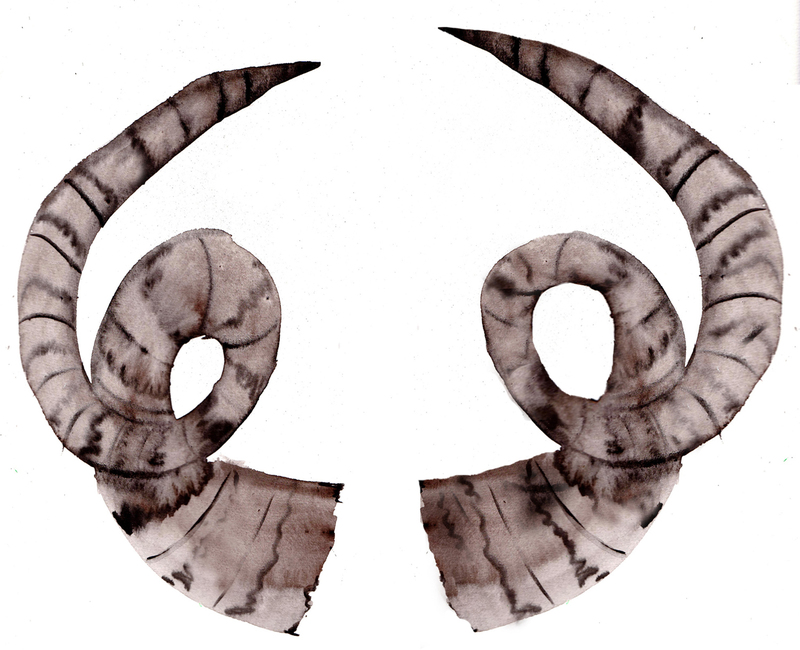 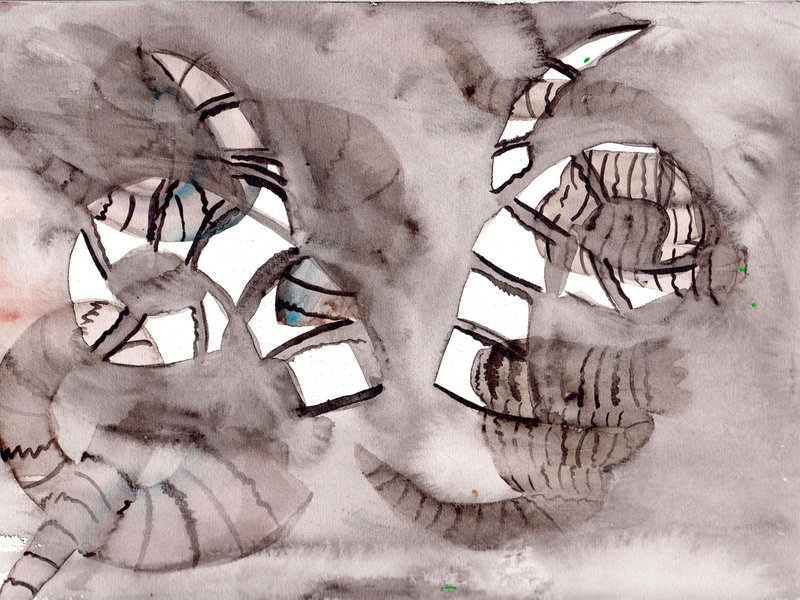 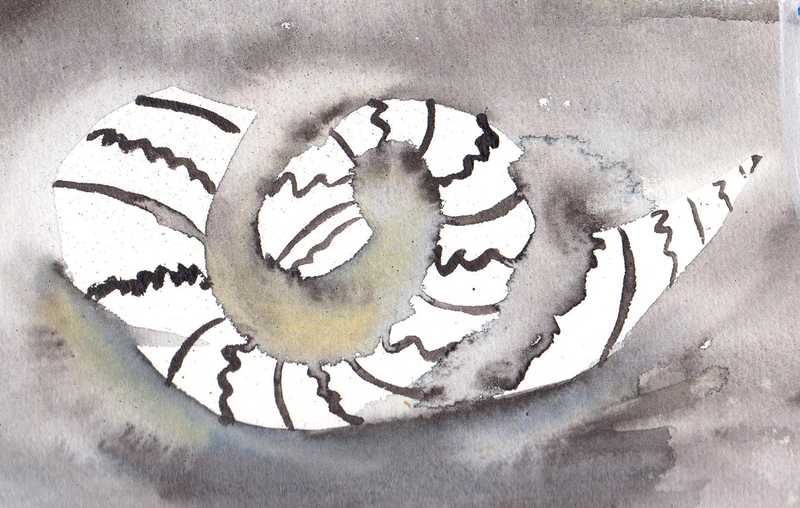 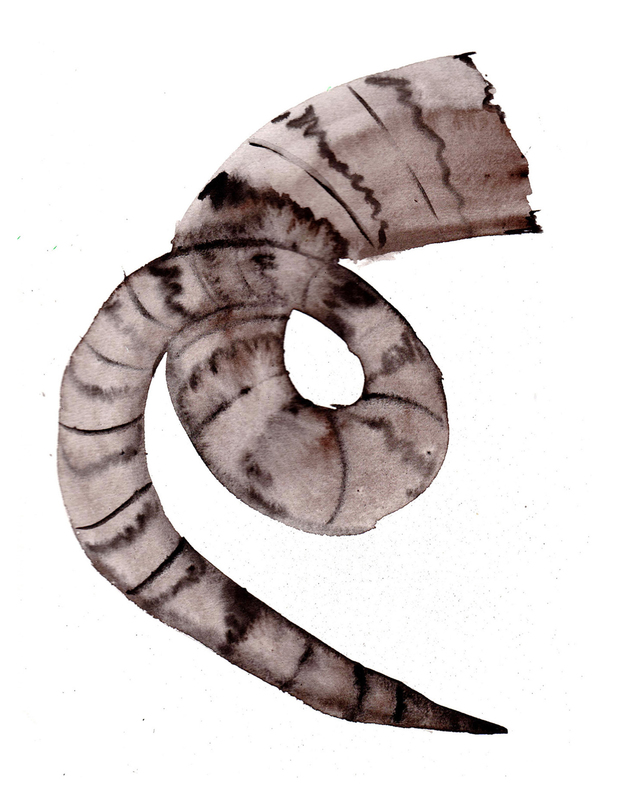 T E M P O consists of a sequence of watercolors on paper depicting robust horns and is animated by the strident creak of a door slammed in the face. 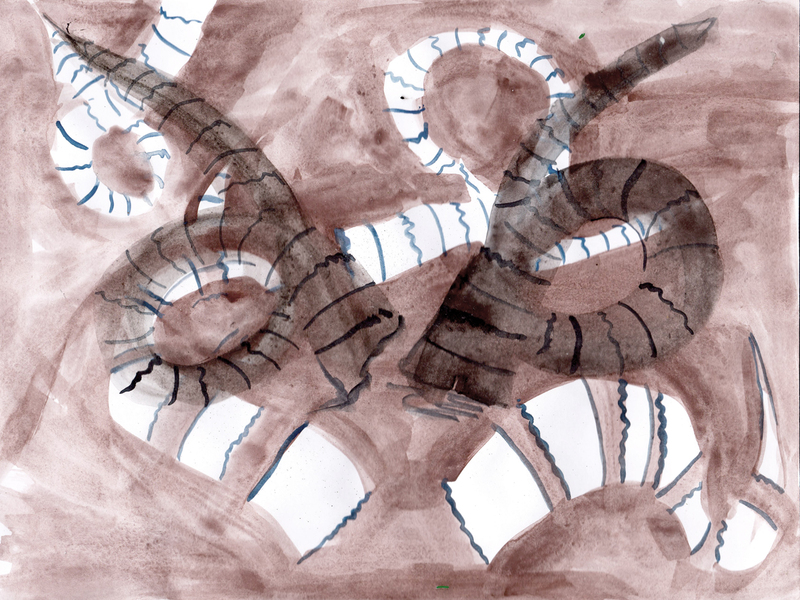 Like prehistoric fossils or callous vortices, these wishy-washy protuberances allude to tortuous stairs, folded into a lobotomized, autistic and timeless dimension. 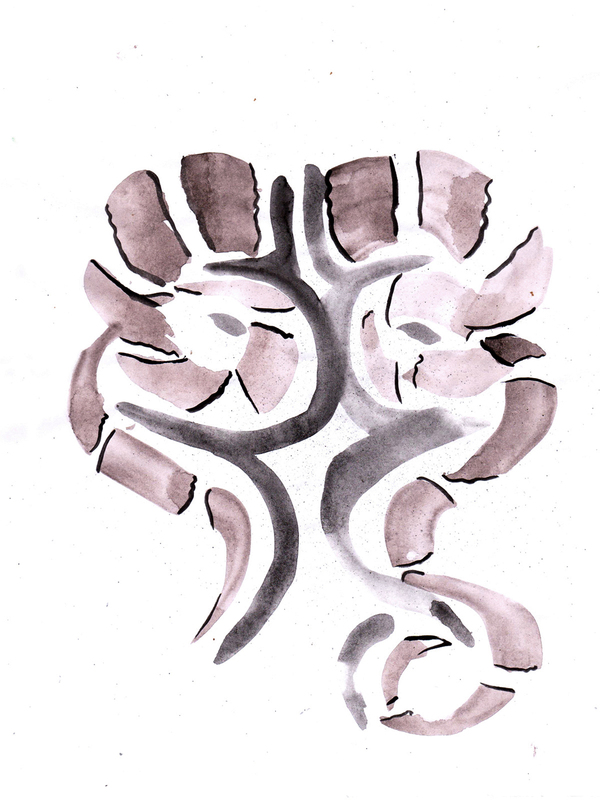 T E M P O plumbs stubbornly a dumb, un-affective time.